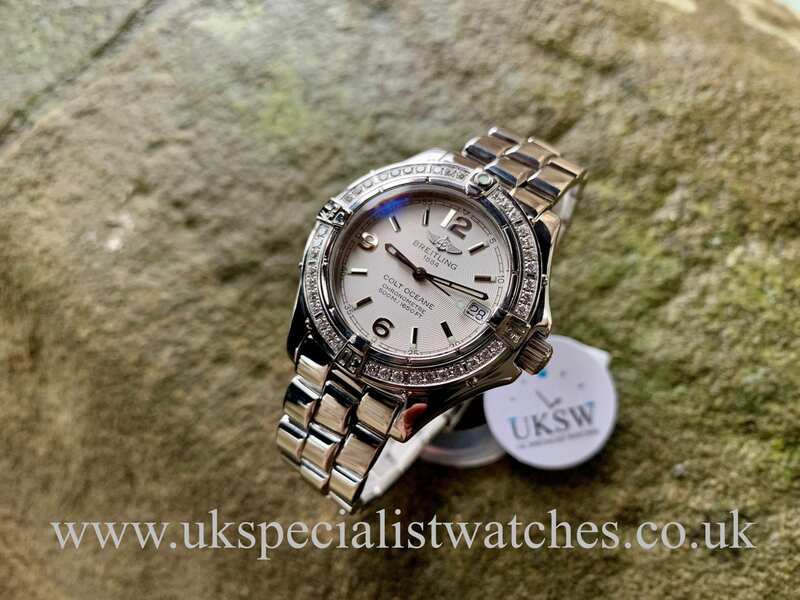 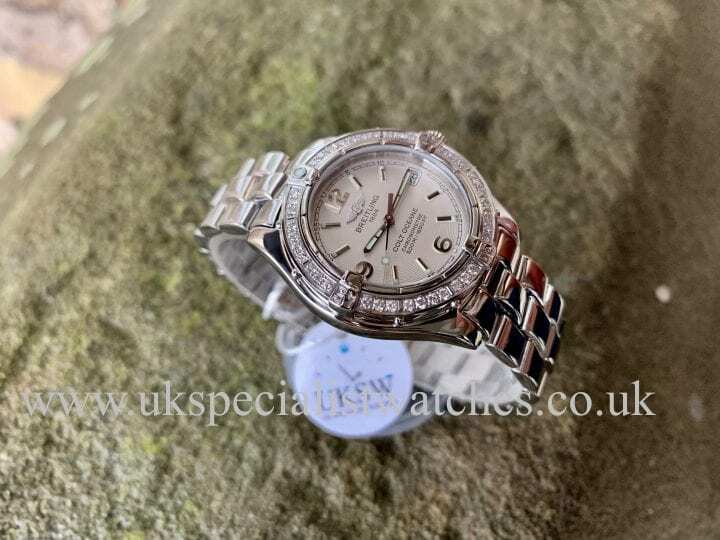 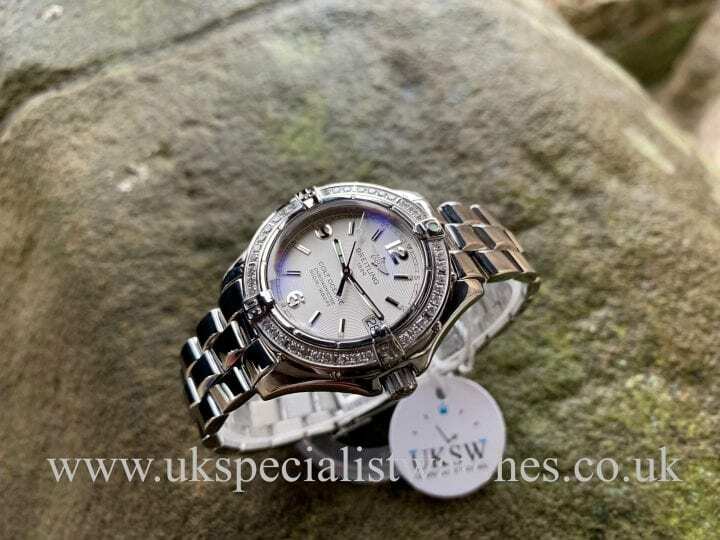 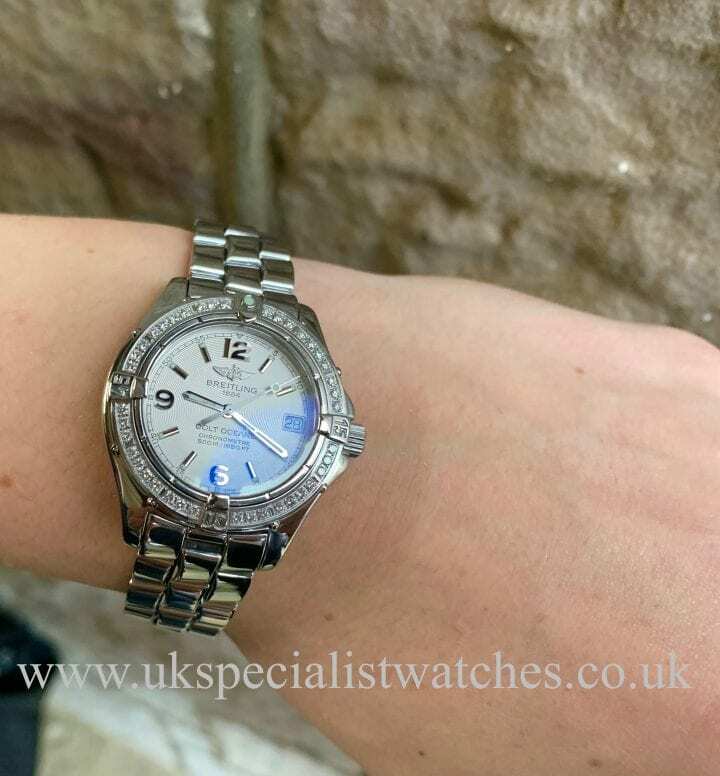 Ladies Breitling Colt Oceane Ladies with a stainless steel 34mm case with an absolutely stunning factory diamond bezel. 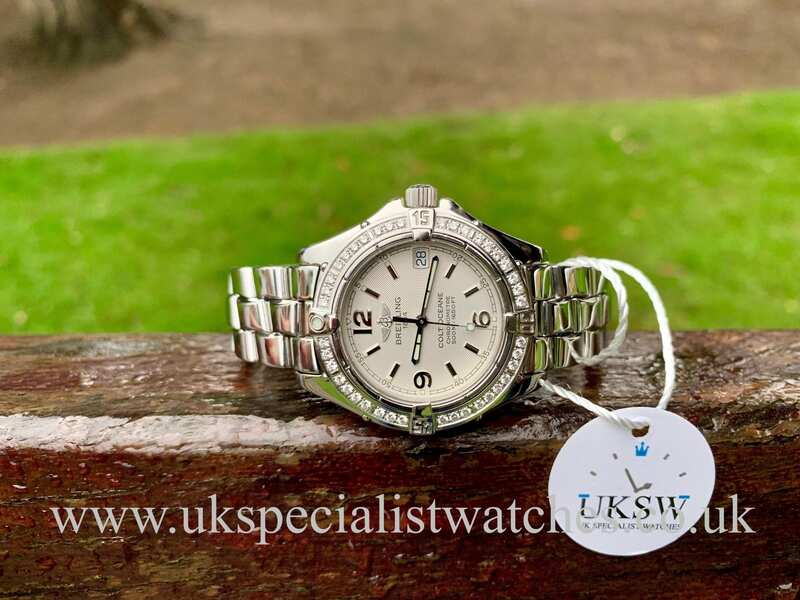 Silver dial with Arabic 12, 6 and 9 numerals, date displayed at the 3 o’clock position. 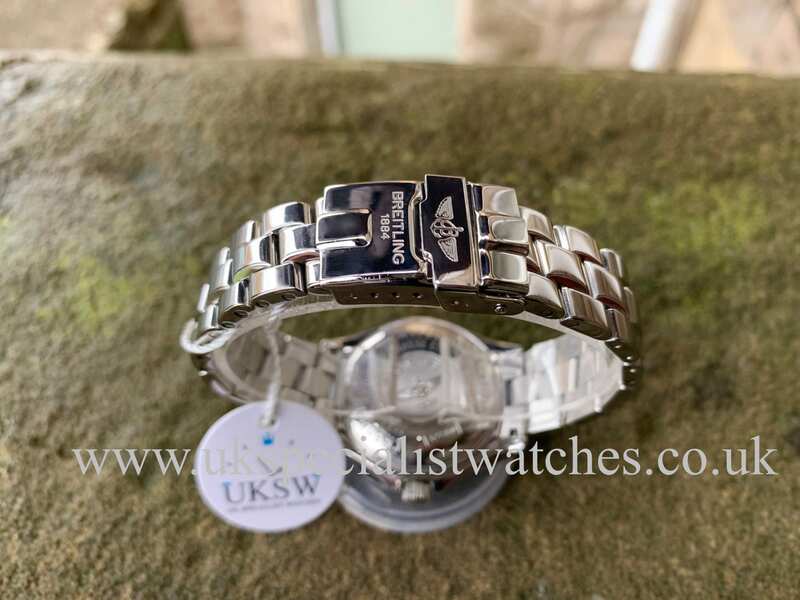 Fitted to a polished stainless steel bracelet with double folding clasp, water resistant to 500 meters. Powered by a Breitling Quartz movement. 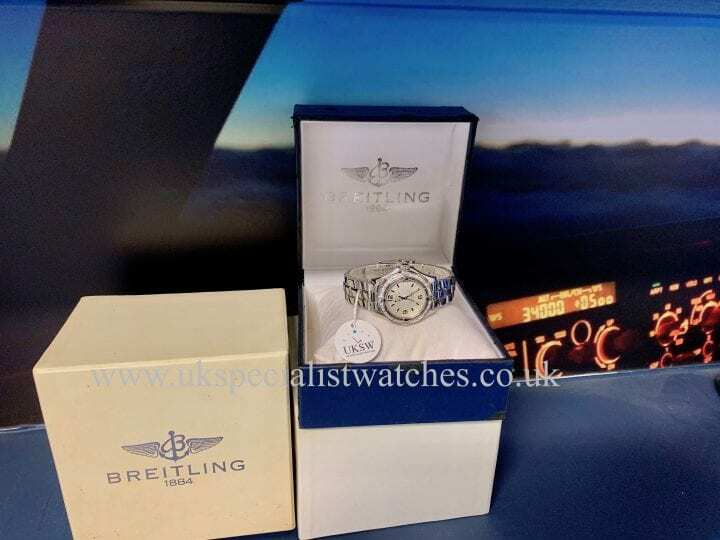 This stunning example is in pristine condition and comes with Breitling box.